During my time at Disney, I spent a lot of hours working with the Parks team. With six worldwide resorts and a dozen unique parks between them, it’s one of the most complex systems I have ever encountered in my entire career. But while the system is complex, the mission was simple: bring fantasies to life. This was especially true after Disney’s acquisition of Marvel in 2009. With a universe full of amazing stories and characters, we were tasked with not only bringing fantasies to life, but superheroes as well. It was a fun initiative. Because really, who doesn’t love a superhero? Well this past week, I had the incredible fortune of watching a real-life superhero in action. I was attending the Kaleidoscope 2018 Conference, which is an event that focused on the “Intelligent Ecosystem.” And among all the wonderful panels and speakers teaching attendees about the steps needed to stay a step ahead in the changing business landscape, there was one speaker who was such an inspiration, and has such an impact, that she can and should literally be described as a superhero. That speaker? Samantha Payne, Co-Founder of Open Bionics. Samantha co-founded her company in 2014. The mission of Open Bionics is crystal clear: give people the capacity to turn their disabilities in to superpowers. Using incredible amounts of creativity, ingenuity, innovation, and the latest technology, they are able to create prosthetic limbs that look and feel as if the user has developed supernatural abilities. In other words, they are literally creating real-life superheroes! Now, prior to her mind-blowing presentation, I had actually had the pleasure of meeting and working with Samantha before. While I was still Head of Innovation and Creativity at Disney, Samantha was a part of our Accelerator Program. It was in this program that I first learned of her incredibly creative work in prosthetics. Using 3D printers, Samantha was able to develop all sorts of unique, custom-built designs (as opposed to the more common, mass-issued prosthetic limbs). 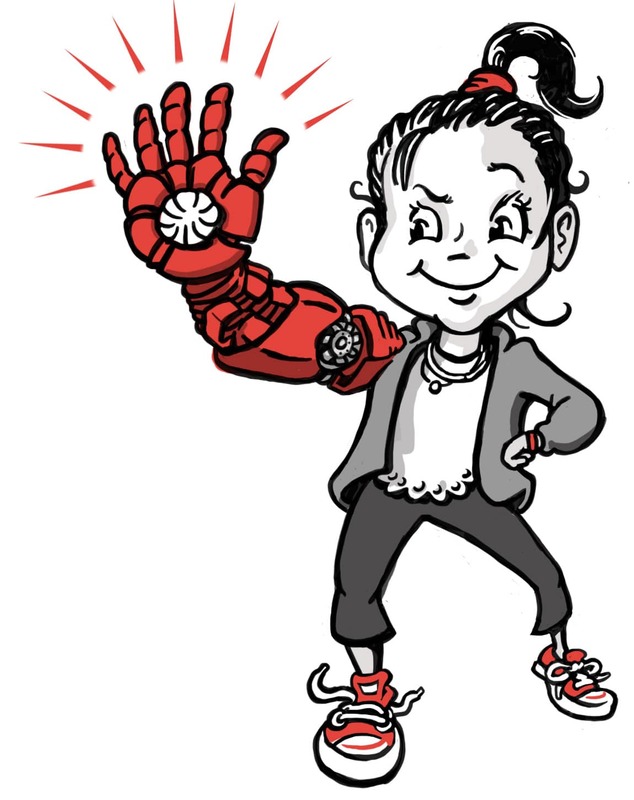 She even developed a prosthetic arm for children that looks like the arm of Iron Man! Can you imagine the difference something like this could make in the life of a disabled child? Someone who, up until that point, felt massive amounts of insecurity about their disability? Kids actually WANT a prosthetic arm now. And they feel incredible when they put them on. They’re proud, and they feel like they’re unstoppable. This radical shift in behaviour would not be possible without Samantha and her work with Open Bionics, and is the perfect example of what can be accomplished when innovation and creativity start working together. In her work turning kids into real life superheroes, Samantha Payne has become a superhero herself. She took an incredibly difficult challenge, faced it head on, and came out on top. And as soon as she was done, she was ready for her next challenge.